Scores 26 Highway MPG and 18 City MPG! This Mercedes-Benz C-Class boasts a Gas/Ethanol V6 3.0L/183 engine powering this Automatic transmission. Window curtain airbags, Tire Pressure Monitoring System, Tilt/telescopic steering column. *This Mercedes-Benz C-Class Comes Equipped with These Options *Temporary spare tire w/steel wheel, SmartKey infrared remote -inc: trunk open, windows & sunroof open/close, panic alarm, fuel filler door, selective unlock, programmable auto-lock, Single rear red fog lamp, Rear window defroster w/auto-shutoff, Rear wheel drive, Rear 3-point seat belts -inc: outboard emergency tensioning device, outboard belt force limiter, outboard automatic height adjustment, Pwr windows w/1-touch up/down, Pwr tilt/slide tinted glass sunroof w/1-touch open/close, Pwr rack & pinion steering, Pwr heated mirrors. 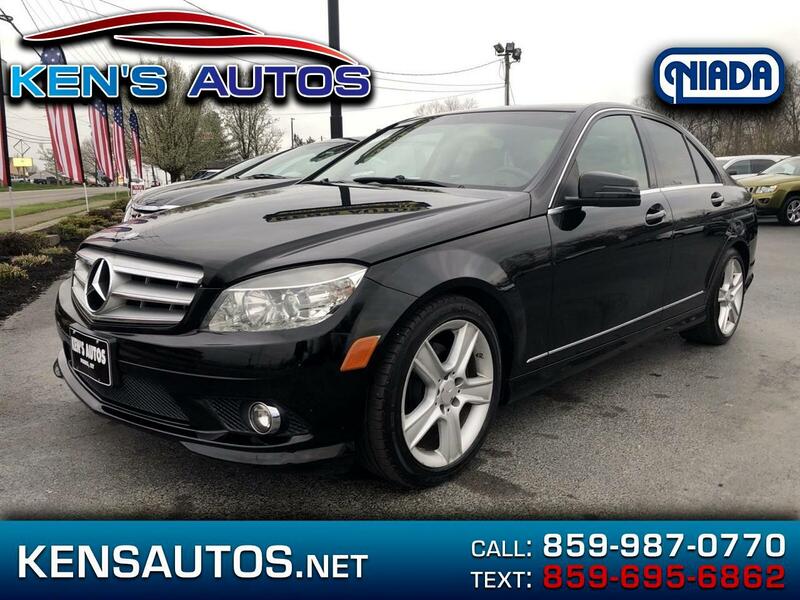 * Stop By Today *For a must-own Mercedes-Benz C-Class come see us at Kens Autos, 1801 Main Street, Paris, KY 40361. Just minutes away! Message: Thought you might be interested in this 2010 Mercedes-Benz C-Class.